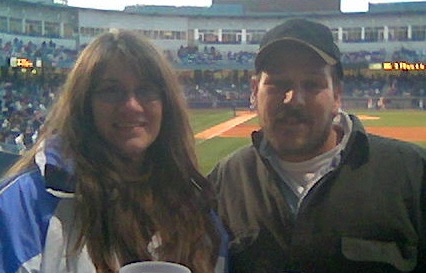 Denise and Jason at a Mud Hens game. Fehrenbach Farms began in 2001 with the purchase of five horses, a dozen chickens, a garden , and a dream. Today we are the home to three horses, 65 llamas, 20 alpacas, 17 goats, and a couple sheep as well. 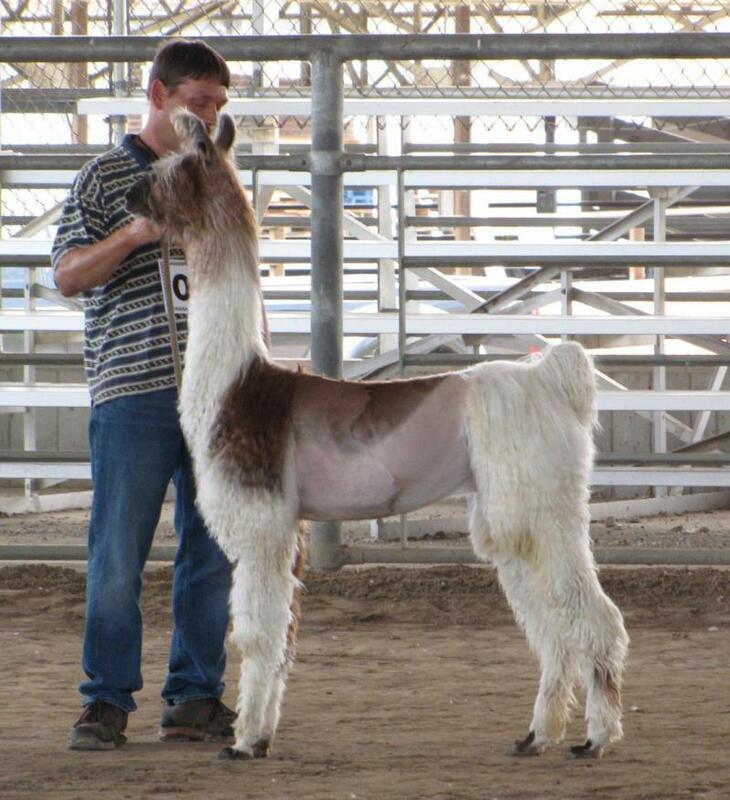 From Spring through the Fall, you can usually find us at a variety of llama or fiber shows across the country. During winter hours, we are busy on our farm with the animals and fiber production. Our goal is to own a self sufficiant farm that puts its pride in the quality of everything that leaves its gates whether it is a vegetable, yarn, roving, a shelter, or an animal. Our farm is owned and operated by us. Denise (myself), Jason, Lexi, and Nick. We handle all tasks from planting, feeding, preparing fiber, and cleaning pastures. 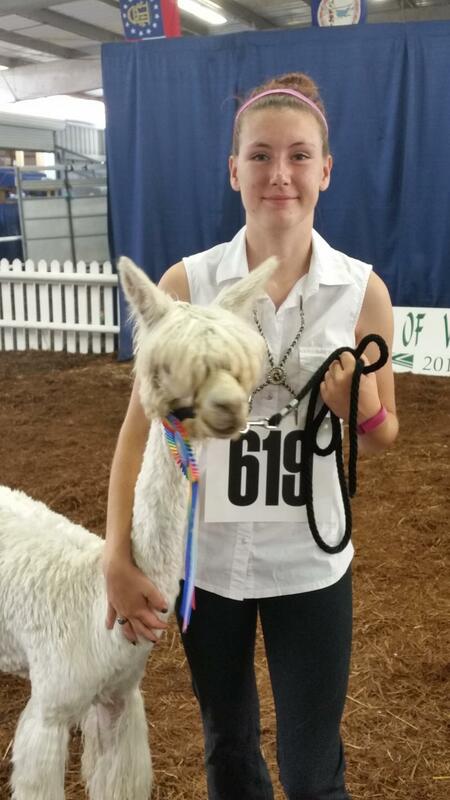 At this time we are offering quality llamas at a reasonable prices as well as llama fibers, yarns, and rovings, manure, heaters, and buildings. I try to keep our prices as cheap as possible while still offering quality products. 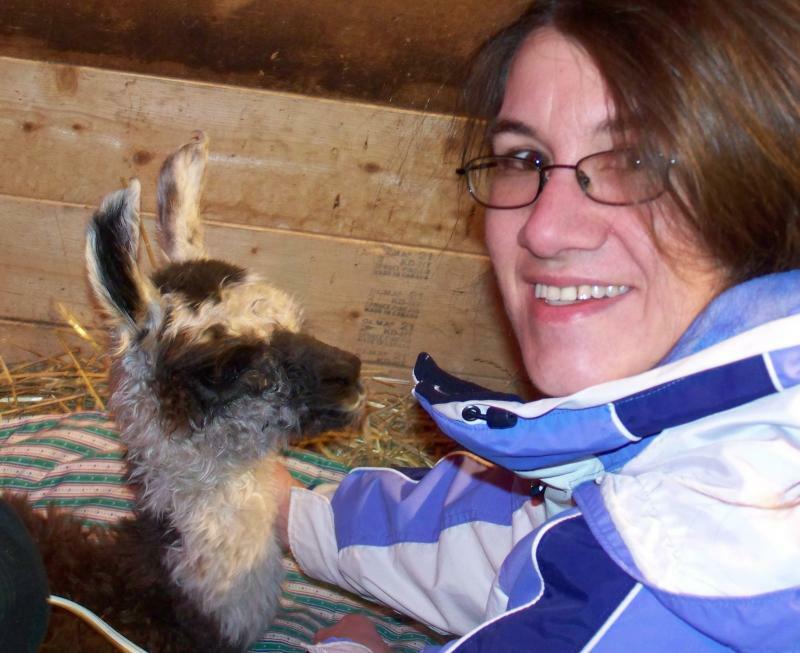 Denise is a full time teacher, parent, and farmer. She is constantly at shows, markets, or at her full time job near Reed City. Denise and baby Rocko just after his birth. Jason has worked construction for over 30 years. He began working for his father prior to his graduating in the late 1980's. Jason is always looking for new and innovative ways to make farming easier for both the farmer and also the farm residents. Together, Denise and Jason have two children who are growing up, living the farm life. There's nothing better.